The first comprehensive history of NATO in the 1960s, based on the systematic use of multinational archival evidence. 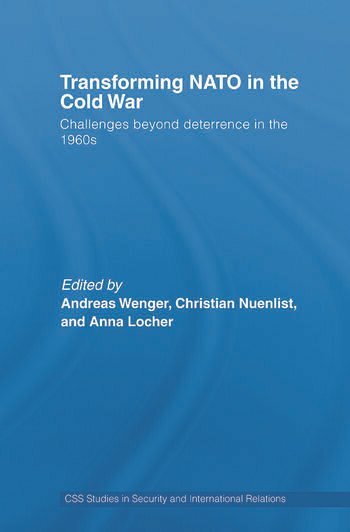 This new book is the result of a gathering of leading Cold War historians from both sides of the Atlantic, including Jeremi Suri, Erin Mahan, and Leopoldo Nuti. It shows in great detail how the transformation of NATO since 1991 has opened up new perspectives on the alliance’s evolution during the Cold War. Viewed in retrospect, the 1960s were instrumental to the strengthening of NATO's political clout, which proved to be decisive in winning the Cold War – even more so than NATO's defense and deterrence capabilities. In addition, it shows that NATO increasingly served as a hub for state, institutional, transnational, and individual actors in that decade. Contributions to the book highlight the importance of NATO's ability to generate "soft power", the scope and limits of alliance consultation, the important role of common transatlantic values, and the growing influence of small allies. NATO's survival in the crucial 1960s provides valuable lessons for the current bargaining on the purpose and cohesion of the alliance. This book will be of much interest to students of international history, Cold War studies and strategic studies.